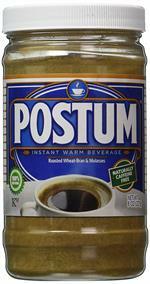 New from Postum! Rich cocoa flavor, with no added sugar or caffeine. Available in a variety of pack sizes. You’ll also like what’s NOT in Postum. There’s no caffeine to cause potential sleeplessness, high blood pressure or digestive problems. First, you’ll appreciate what’s in it: Roasted wheat bran, wheat and molasses. That’s it. These simple, natural ingredients are all we need to produce our signature, full-bodied flavor. 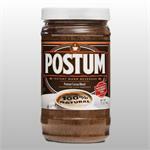 You’ll also like what’s NOT in Postum. 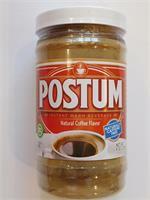 Take a look at the label and you’ll see why Postum is a coffee replacement you can feel good about. Non-GMO ingredients, certified Vegan and Kosher also. 100% All natural. Welcome to Jack’s Country Store, where you can shop fine items from the comfort of your home. Here at our country store you’ll find items inspired by American traditions, from food items like albacore tuna and beef jerky to sporting goods.. 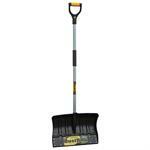 Need a hard to find item? We may have it. Want a unique gift for a special occasion? Browse our categories here. Breyer horse collectibles, toys, and activity sets are a time-honored favorite among boys and girls of all ages and we are proud to offer a large selection here at Jack’s Country Store. This store in Ocean Park is known for mercantile treasures and remnants of times past and we are happy to make these little pieces of Americana available to the rest of the world. We have Best in Show Breyer horse models for the girl that dreams of having her own pony. We have play sets for little ones to let their imaginations soar. We have activity sets for quiet play, such as paintable ceramic horses and sculpting clay. These classics really tap into good old fashioned child’s play for every youngster or even just the young at heart. The Breyer collection also features items that are fantastic gifts. The holiday ornaments can bring back memories from your own childhood and make for a nostalgic gift. Or, these ornaments can be a nice way to start some new traditions. Shop the entire collection of Breyer horses for sale. We’re certain you’ll find something perfect for yourself, or a gift for someone special. "Store in a Cool Place TM"
We invite you to browse our online store, or visit us in Ocean Park, Washington.